On Saturday evening the Camera Club campers went off to the nearby Lighthouse to catch the last of the light .. we all went in different direction to get .. 'The shot'.. 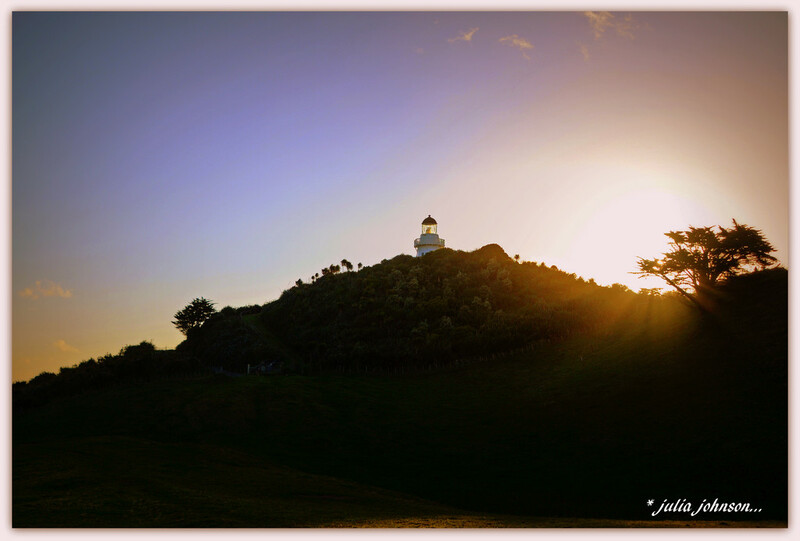 This shot I have captured the last of the rays coming over the top of the hill.. as you can see it is a pretty exposed spot and if you look very carefully under the Macrocarpa tree on the right you may see two tiny figures that is @dide trying to get her shot ... Hope to see one of hers on here ..
Um - no shot any good from under the tree... climbed that steep hill with all that gear for nothing worthwhile. I gave up from that side. I will post one from the other side of the lighthouse. A stunning image and lovely light. I love your composition, and oh the light! Fabulous. Dianne looks tiny....what adventures you have! Lovely end to your stay. Lovely to see the comparison between your photo and Dianne's taken from different angles.